Give your home a smooth and new skin!, Stucco and Vinyl siding for your home, we utilize an extensive variety of siding materials from natural limestone stucco,synthetic, acrylic and vinyl with the three layer insulation properties, We can build textures and colorful mixtures to get that special look you’ve always dream of. In addition to our residential and home general contracting services, we provide commercial contracting and construction projects, office buildouts, office space design, office space renovations. We are licensed and insured residential and commercial building contractors. We take care of your home skin! 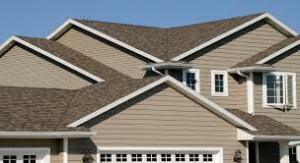 Siding protects the outside of our homes, it is important to choose carefully the kind of material , insulating system and texture of your home siding, our group of specialist will help you on the selection of your new siding and we will make sure you are pleased with the results. We have an extensive selection of sidings products from insulated vinyl to fiber, cement, stones, natural wood, maintenance free and long lasting products. Call now we get the job done on time; let’s get to work!